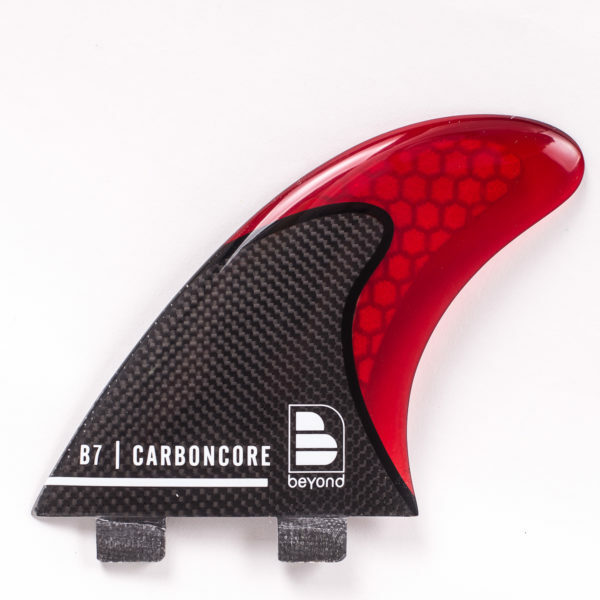 Beyond Carbon Cored B7 Template Thruster Set for FCS plugs and boxes. Masterful! Beyond® B7 Carboncore Thruster Set with a precision engineered carbon fibre core to fit FCS plugs & boxes. A medium swept fin with a relatively wide base design for large waves, (6′ – 12′) enabling a tighter style where hold and drive is essential. Engineered to exacting standards for tuneable flex surfboards to provide a stiff based fin for drive and transition through a wide range of manoeuvres, but especially for hold in pitching and large waves. Every inch of this fin is designed for drive and power – totally fit for purpose and ready. Note the purity – no decals or paint to hide blemishes and imperfections from cheap manufacturing. Beautifully made…. 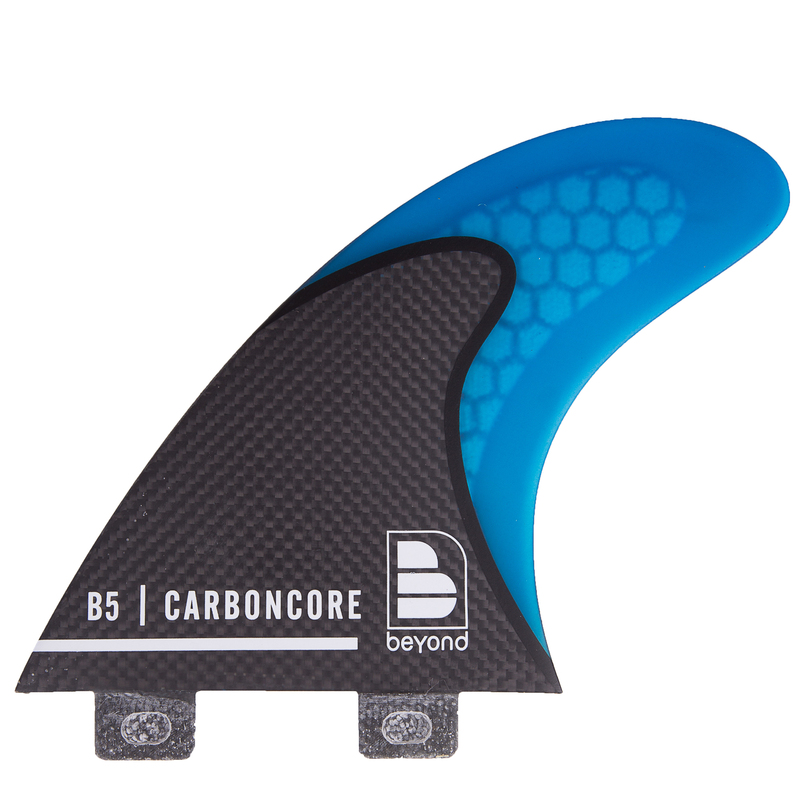 Try B3’s for less area giving less hold, quicker release or the B5’s in larger surf for ultimate hold and drive! 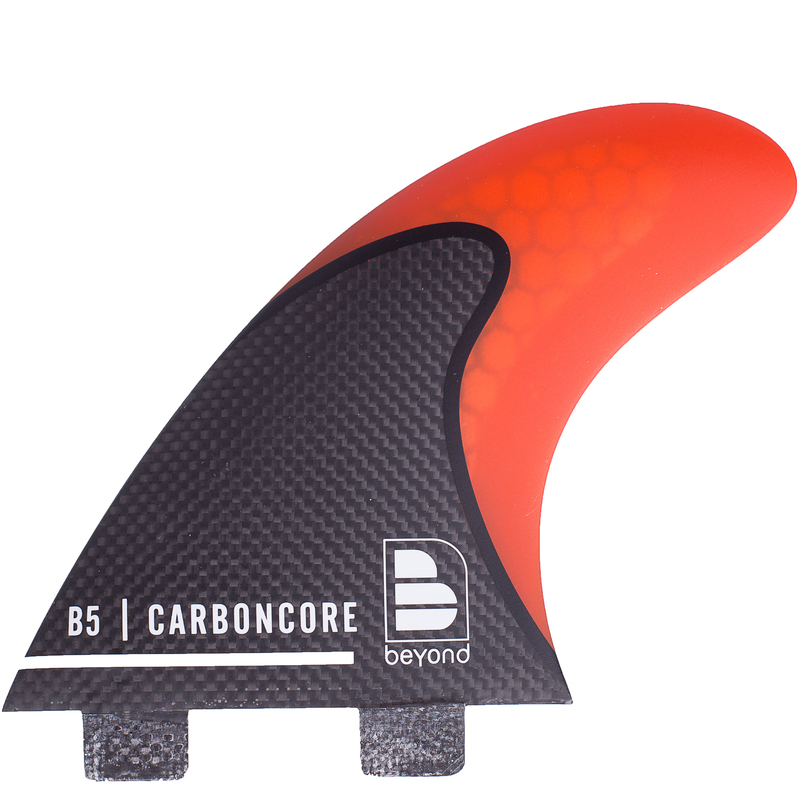 Beyond Carbon Core fins are designed to provide flex patterns from tip to base for extreme surfing situations. 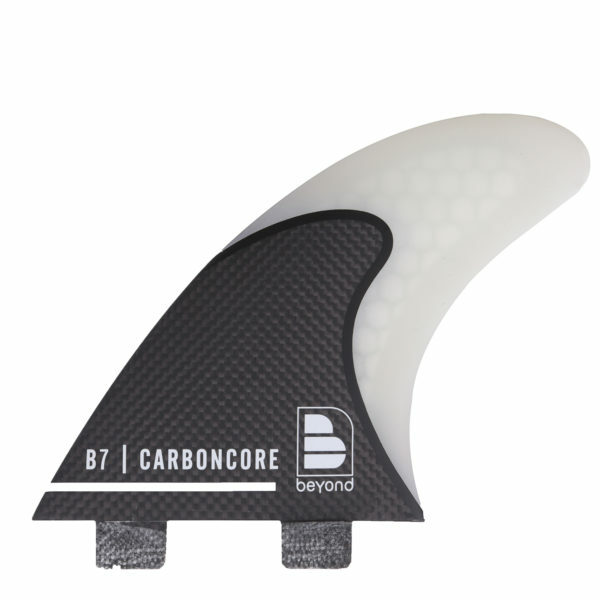 For a different flex and drive pattern try the Beyond Flexcore fin range, or Ultraglass fins, the ultimate in pure glass fins. Masterful! 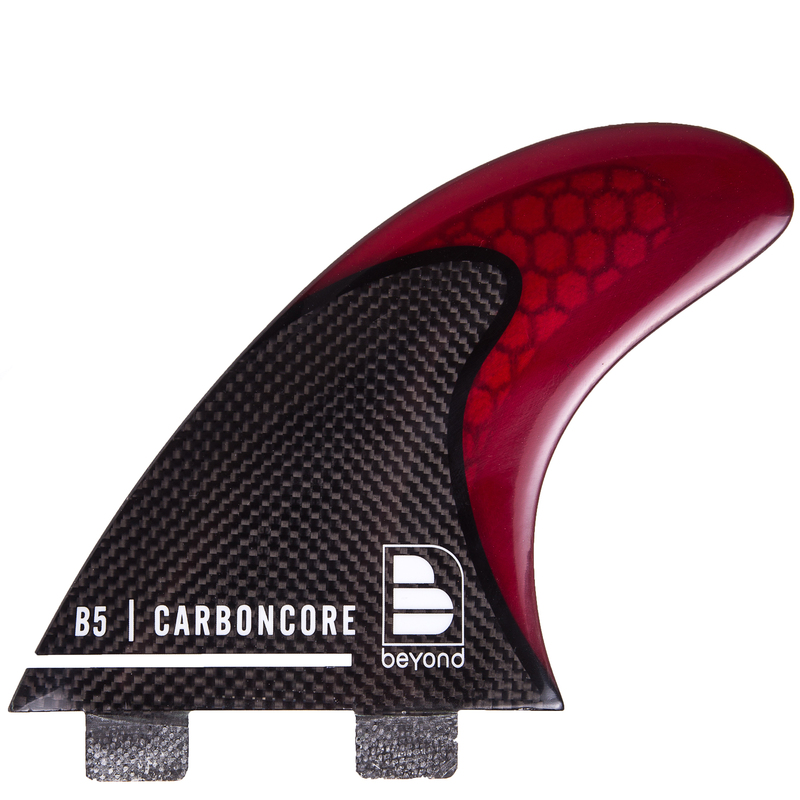 Beyond® B7 Carboncore Thruster Set with a precision engineered carbon fibre core to fit FCS plugs & boxes. A medium swept fin with a relatively wide base design for large waves, (6′ – 12′) enabling a tighter style where hold and drive is essential. Engineered to exacting standards for tuneable flex surfboards to provide a stiff based fin for drive and transition through a wide range of manoeuvres, but especially for hold in pitching and large waves. Every inch of this fin is designed for drive and power – totally fit for purpose and ready. Note the purity and quality – we do not use decals or paint to hide blemishes and imperfections from cheap manufacturing. Beautifully made….